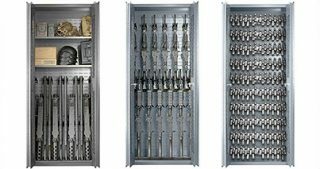 Machine gun cabinet uses six single-capacity rifle shelves. This allows the upper rifle stocks to sit between lower rifle barrels. 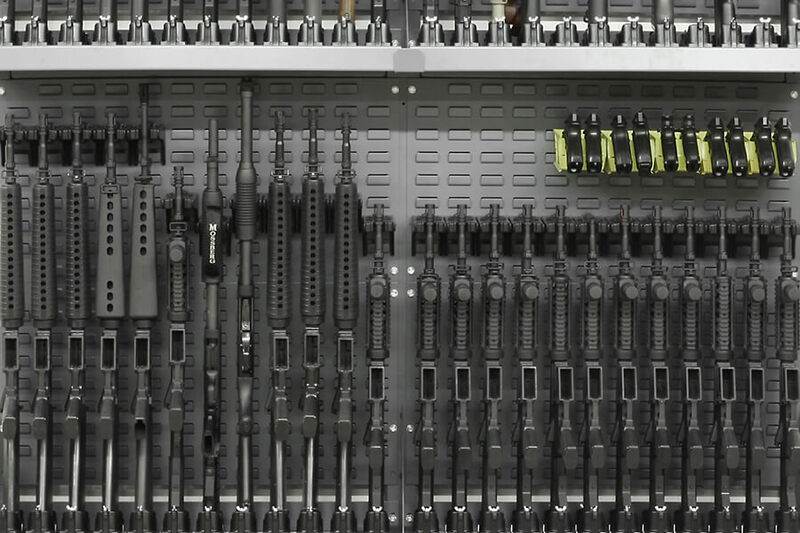 Popular when you have a lot of M240s, M249s and other rifles over 42 inches long, where rifle length requires that stocks and barrels overlap. Can hold 12 M249s or six M240s with six M249 spare barrels. 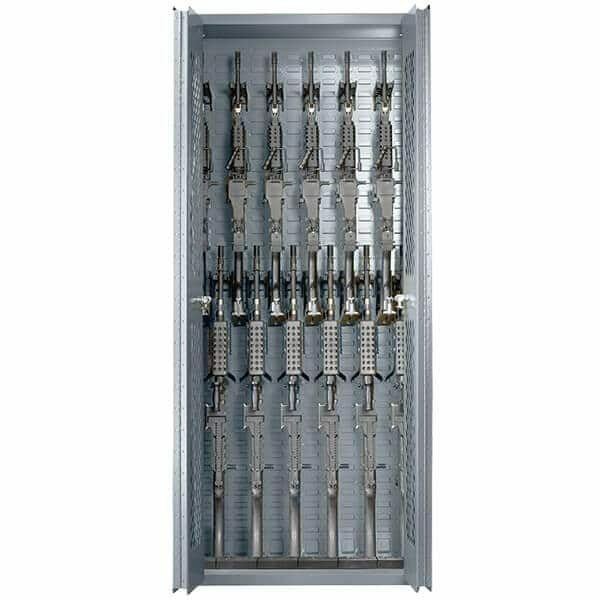 Part of the SecureIt weapon storage platform featuring Patented CraddleGrid Technology. 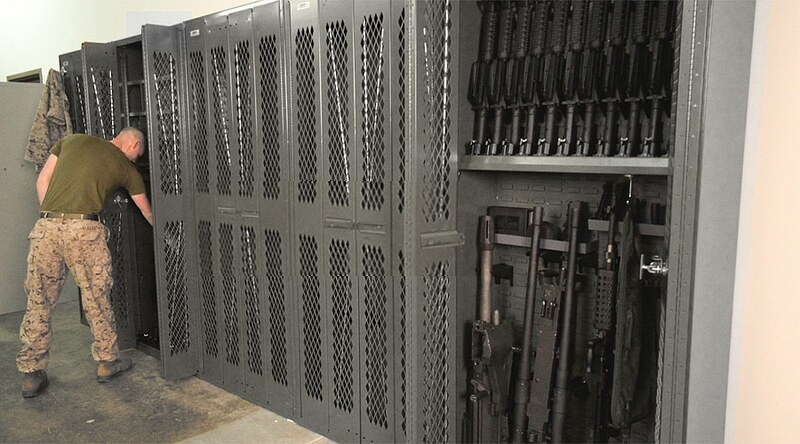 SecureIt offers complete armory design services at no charge.